PESHAWAR: The Khyber Pakhtunkhwa finance minister Taimur Salim Jhagra has postponed his visit to North and South Waziristan tribal districts due to bad weather conditions, said the government officials on Friday. The finance minister was scheduled to visit both the districts to examine the progress of work on ongoing developmental projects initiated after the Tribal areas merger with the Khyber Pakhtunkhwa. The visits of the ministers are planned on the directions of Prime Minister, Imran Khan to fasten the efforts of mainstreaming the tribal districts. The district administration announced that the new date of the finance minister visit will be announced soon. The minister has planned meetings with the officials of the districts about the timely completion of ongoing projects and arrangements of funds for the start of new projects in two tribal districts of the province. The Previous day, the governor Khyber Pakhtunkhwa has announced that he and chief minister together will start visiting the tribal districts to oversee the ongoing projects and hear the problems faced by tribal people. 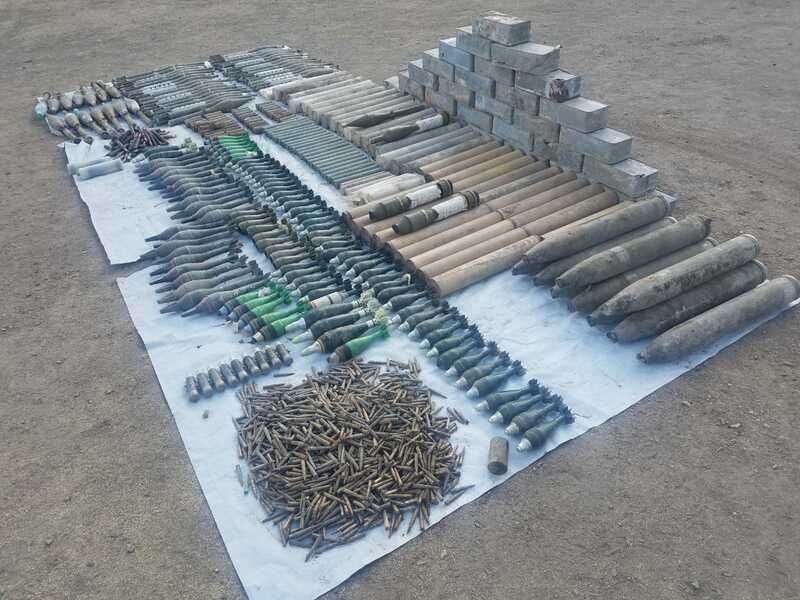 PESHAWAR: The security forces in search and clearance operation has recovered huge cache of arms and immunization from Makin area of the tribal district of North Waziristan. The security officials said that the operation was the part of Pakistan army’s ‘Raddul Fasad operation’ in the district. Pakistan Army launched ‘Operation Radd-ul-Fasaad’ was launched across the country in February 2017. According to Inter-Services Public Relations, Radd-ul-Fasaad — which translates roughly to ‘elimination of discord’ — will aim at indiscriminately eliminating the “residual/latent threat of terrorism”, consolidating the gains made in other military operations, and further ensuring the security of Pakistan’s borders, read the statement. The security forces added that it was an intelligence-based operation in a high number of small and heavy weapons were recovered militants hideouts. Giving the details of the recovery, the official said that it includes Rocket launchers, Mortar shells, ammunition of different calibre, explosive material and other weapons.